8.5. Keeth Smart – The Fencer » Change Myself. Change the World. Keeth Smart is no stranger to overcoming obstacles to achieve goals. 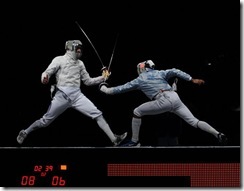 In high school his fencing companions were competing internationally while he was unable to qualify until the end of his senior year. After ten years of continuous training, he finally made his Olympic debut at the Sydney games in 2000. The team did not win a single medal. 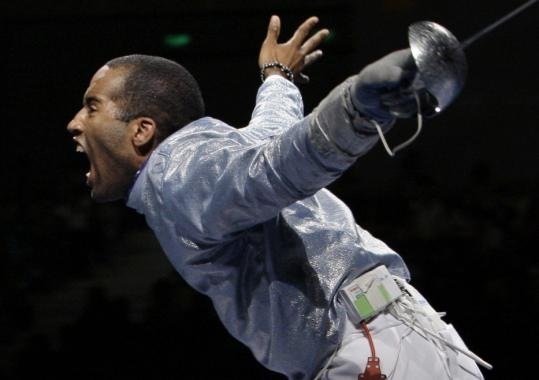 After placing second at the World Cup in 2003, Keeth later became the first US fencer to ever attain a first place points ranking internationally. The following year at the Olympics in Athens he faced Stanislav Pozdniakov who holds more Olympic and World Cup titles than any other active saber fencer in the world. Keeth fell short of victory by just one point and blew the US lead over Russia for the Bronze. Just one year after this disastrous defeat, his father, his biggest inspiration for pursuing the sport, died of a heart attack. Not long afterward, his mother was diagnosed with colon cancer. Keeth kept his Olympic dreams alive and made the national team again in 2008. The day he was guaranteed a spot on the Olympic team and just four months before Beijing, Keeth was checked into the hospital with a rare blood condition called ITP caused by food he’d eaten in an earlier competition. He was put in a protective bubble room as any cut could cause him to bleed to death. Recovering from this blood condition Keith was barely able to train in the remaining months before the Olympics. And then he suffered another blow. He lost his mother to the colon cancer. She had already updated her passport with plans to watch him compete in Beijing. Keeth’s mom had taught him the importance of hard-work and athletic competitiveness while his dad taught him the importance of taking advantage of opportunities. With that in mind he headed to Beijing. Once again the US was tied with Russia in the last match with only one point left to determine which team would win a medal. And once again, Keeth faced Pozdniakov, the only one that could stand in the way of his dream of winning a medal. 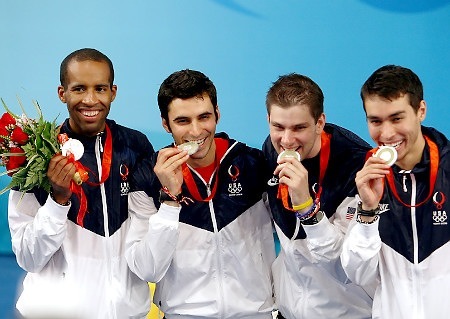 Not only did he defeat Pozdniakov but the US men’s saber team inched past Italy and took home a silver medal, the best finish in American history. Today Keeth Smart teaches fencing to children as well as the importance of not letting go of your dreams no matter what.